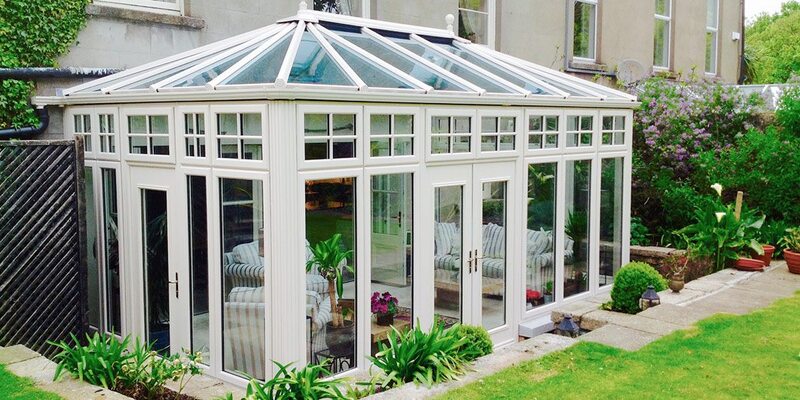 The Edwardian conservatory looks similar to the Victorian Conservatory except it has a rectangular design. This square fronted corners allow maximum room for furniture. 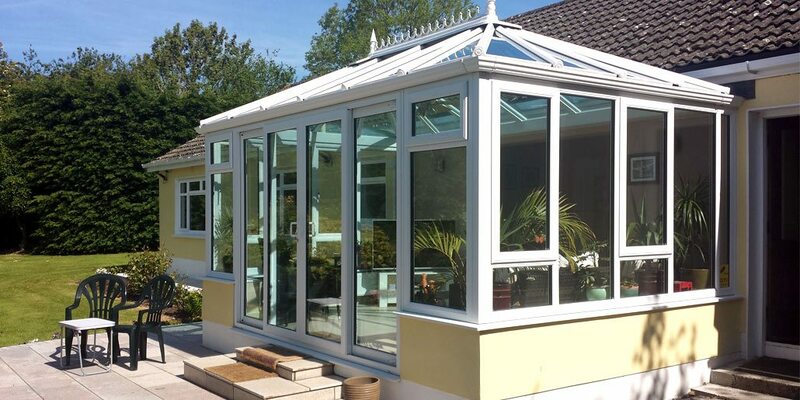 We also buill a variant of this design called a bay Edwardian conservatory, these are very popular for semidetached homes. the square corner is positioned against the boundary line while the bay creates a rounded effect to blend into the garden better. 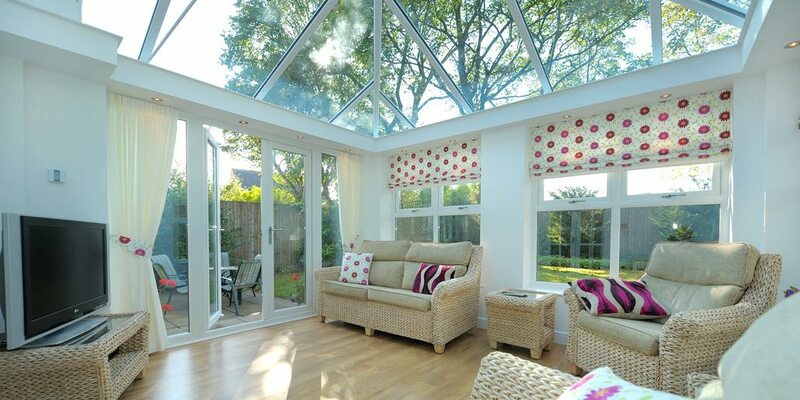 The roof can be easily adapted to use a box gutter to allow the conservatory fit onto a bungalow roof. 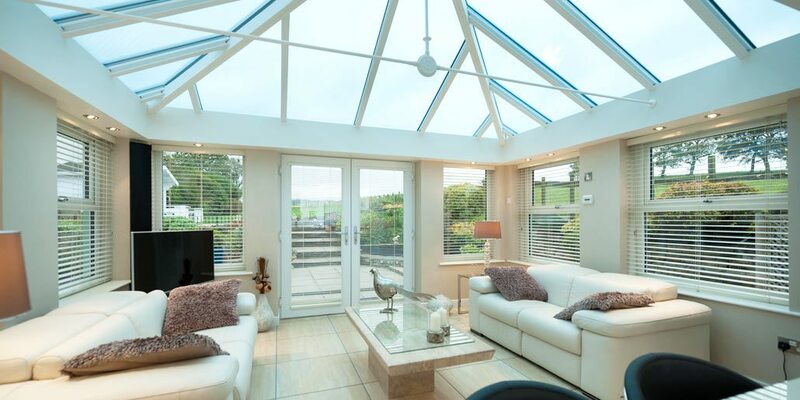 Our Energy efficient glass used in the Edwardian Conservatories ensures a snug room for all seasons. 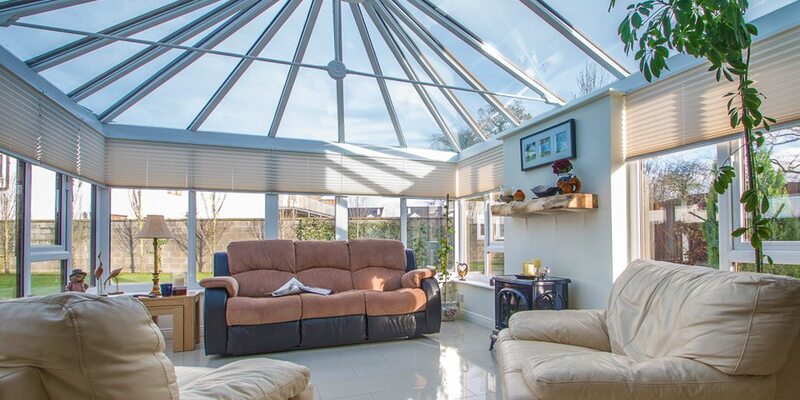 Old conservatories have a bad name for their temperature extremes, but now with solar reflective glass you can be sure of even temperatures all year around. 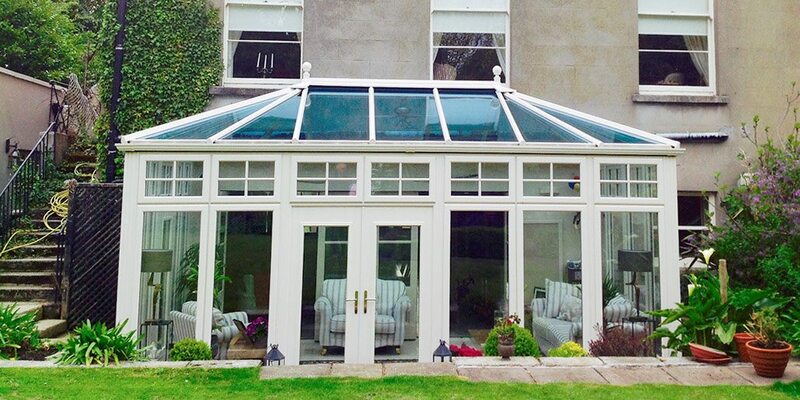 For more information of out glazing systems feel free to give our information desk a call on 045 844 002. 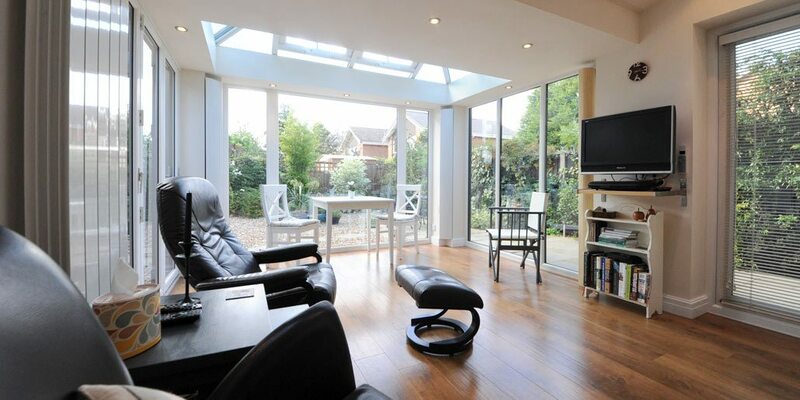 Planning permission is not required for an Edwardian conservatory subject to a few rules. 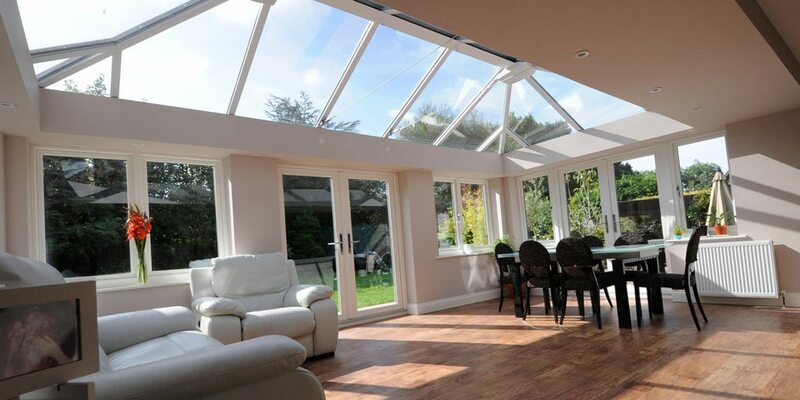 Our Edwardian conservatory range is available with a range of roof glazing options. 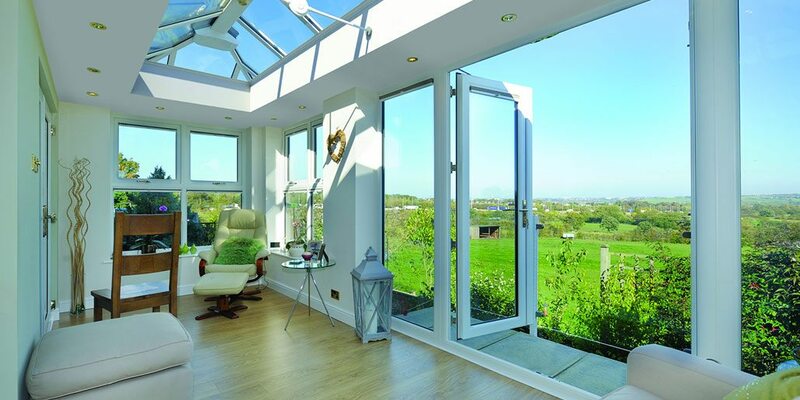 The most popular option is to use Pilkington Blue Activ glass, this creates a very nice ambience and adds a bit of blue to the sky when looking out though it. 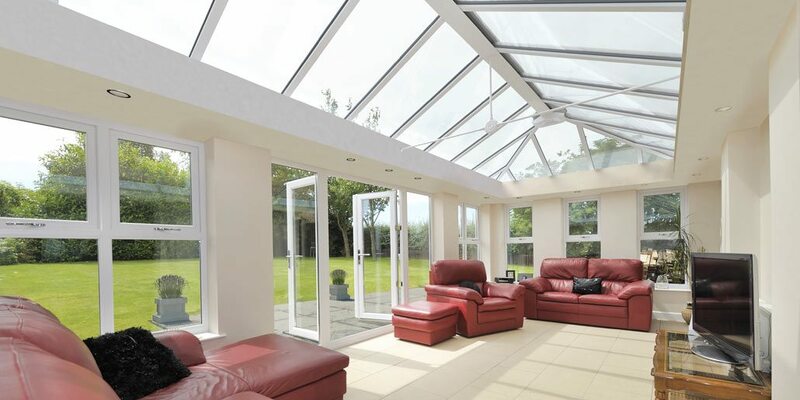 The roof has a self cleaning surface which ensures that your roof looks fresh in all seasons. The self cleaning surface does not keep the glass completely spotless but from a distance it looks very clean and every shower of rain removes any new dirt that may try to lodge on the roof. The Edwardian range is available in a full suite of colours, we have cream, white, grey and brown on display at our showrooms.